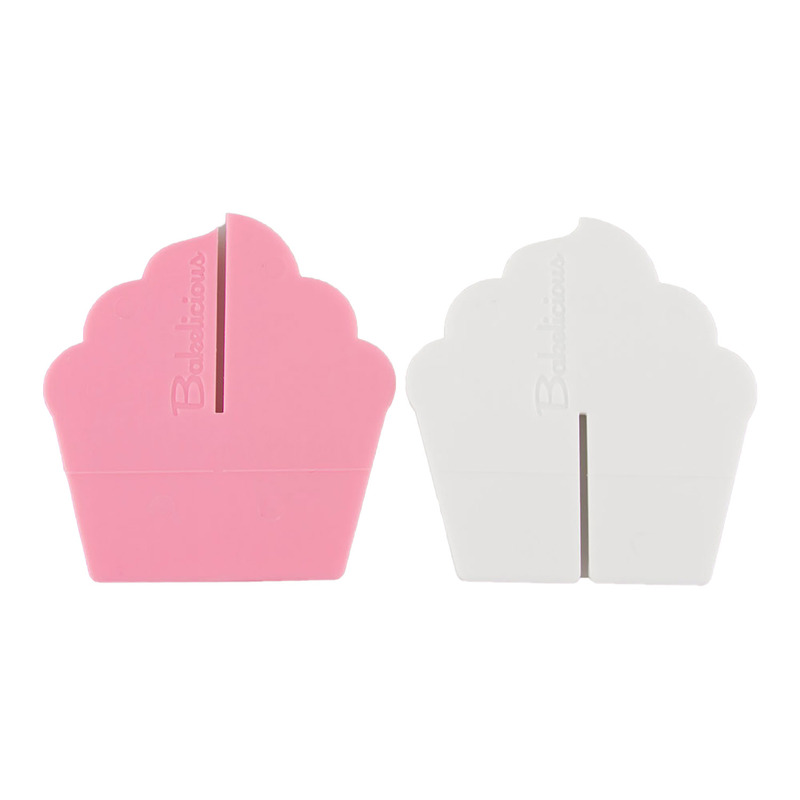 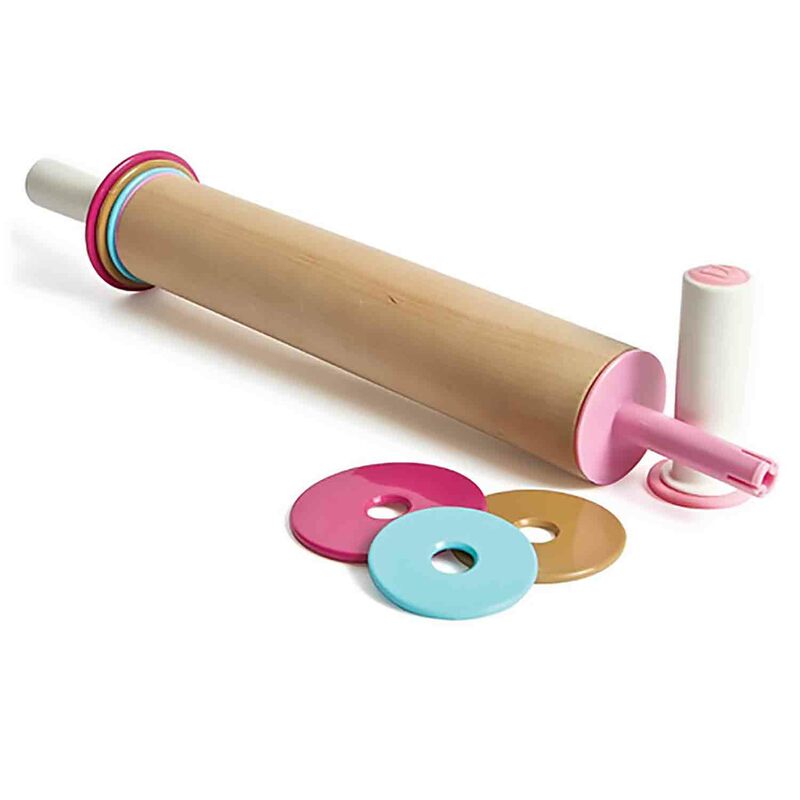 Brand: Bakelicious FR-73838 Units: 1 set/ 9 pcs. 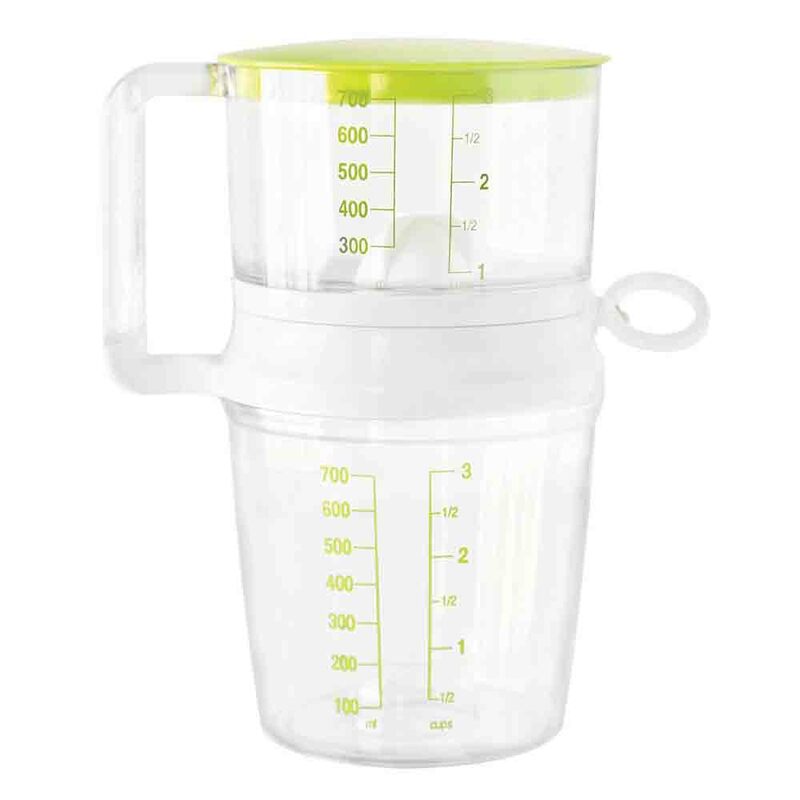 total Dimensions: 3½" diameter x 4⅜" deep 6 measuring cups snap together in pairs, and 3 measuring spoons snap to eachother. 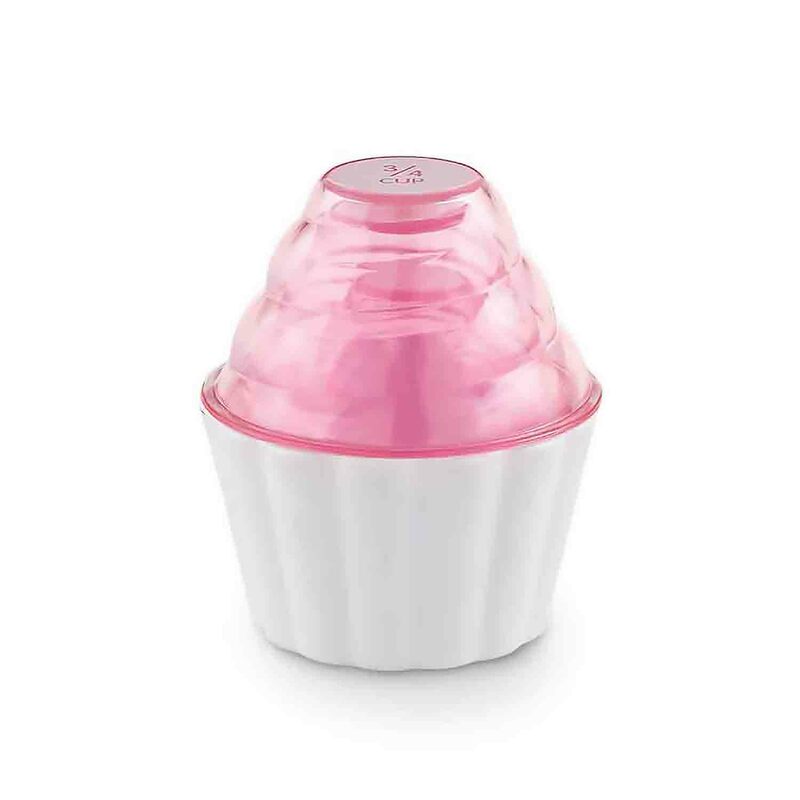 All pieces nest together to be stored in one adorable cupcake shaped unit. 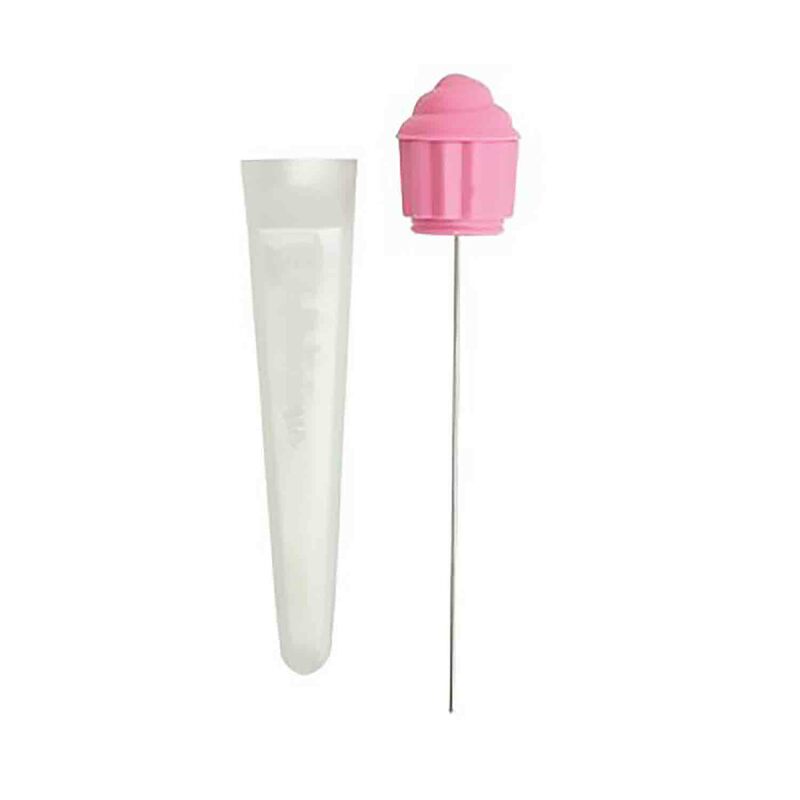 Set includes measurements for 1/4, 1/3, 1/2, 2/3, 3/4, and 1 cup, as well as 1/2 tsp., 1 tsp., and 1 T. Plastic.